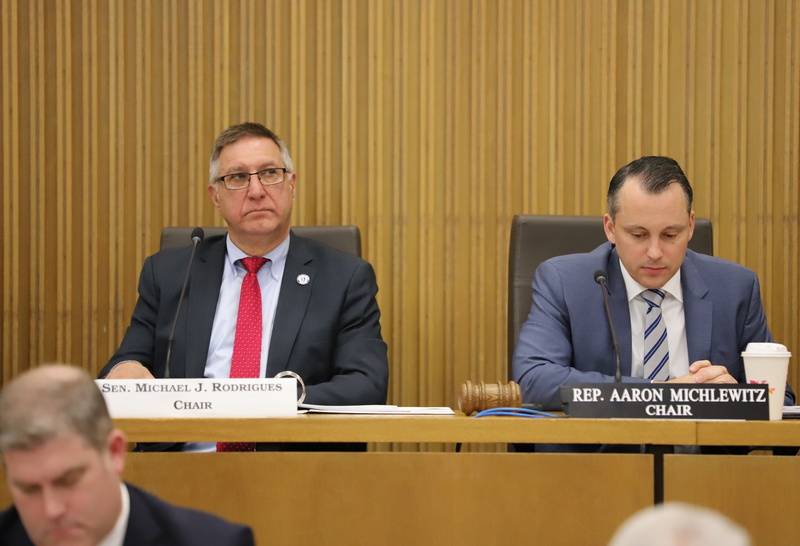 STATE HOUSE, BOSTON, APRIL 9, 2019.....Democratic leaders in both branches are now saying its unlikely the Legislature will pursue substantial new revenue proposals as part of next year's state budget, with Senate Ways and Means Committee Chairman Michael Rodrigues on Tuesday joining House Speaker Robert DeLeo in suggesting that those discussions should be postponed until later in the year. DeLeo said Monday that the House's fiscal year 2020 budget set to be unveiled this week would not include significant new taxes or fees and that "further action" on revenue proposals would come instead later this year. Rodrigues echoed that approach on Tuesday, saying he is "not anxious to jump into the revenue discussion at this time" - even as Senate President Karen Spilka said the decision has not been made.